For individual product types that cannot be sold at small quantity due to high packaging cost and delivery complication, it is vital that store owner can determine a minimum amount as the necessary condition for the customer to proceed to checkout. However, because of limitations in Magento default, the minimum quantity can only be applied for simple products, not configurable products. This article will introduce a quick and effective way to set min quantity for the configurable product. What are Magento default’s limitations? Although admin can easily set minimum quantity for each product, this function is limited just for the simple product. If you want to set the minimum amount for the configurable product, the most feasible option you can try is to apply for each children product of the configurable product. 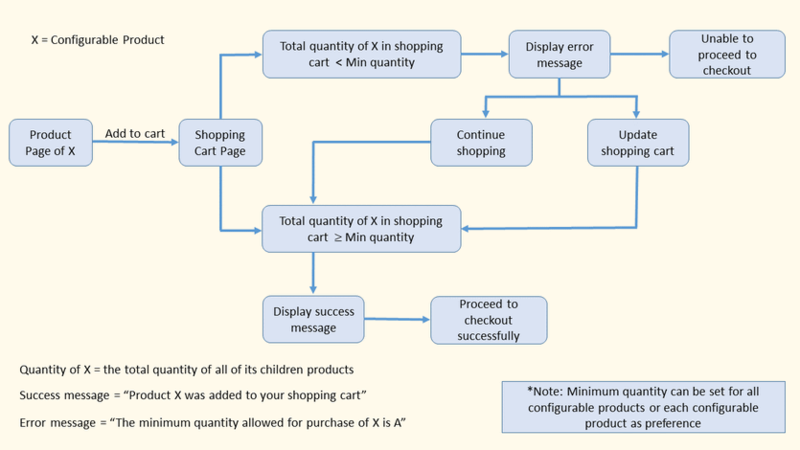 However, that solution still cannot meet your expectation of setting minimum product quantity for checkout of all children products of a configurable product. What is the solution to this limitation? If this necessary condition is not met, there will be an error message reminding the customer to add sufficient product quantity to cart. The button Proceed to Checkout will also be hidden, so the customer cannot check out if the product quantity in their shopping cart does not meet minimum requirement set by the admin. When customer cart satisfies this condition, a success message will be displayed. The button Proceed to Checkout will also be available for the customer to check out successfully. 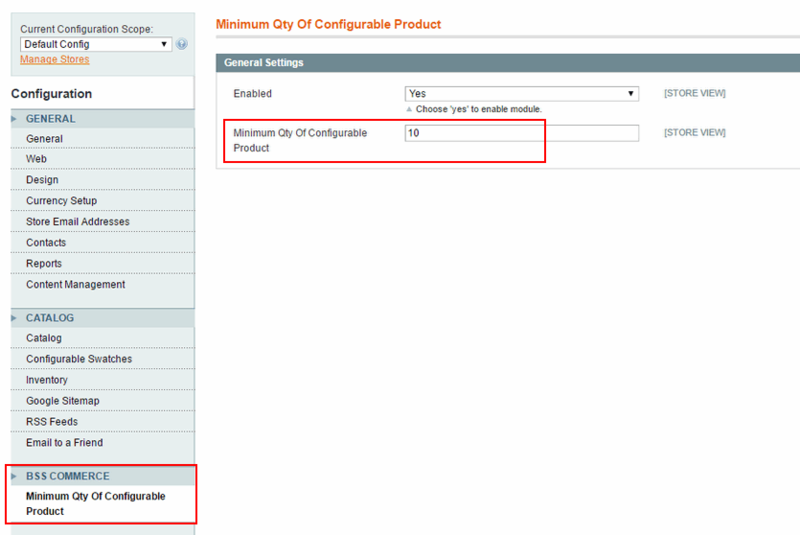 The extension “Minimum quantity of configurable product” also allows you to set the minimum amount for all configurable products. Without any doubt, Minimum Quantity of Configurable Product is the practical and straightforward solution to set minimum quantity for the configurable product, lessen admin manual task and improve work efficiency. 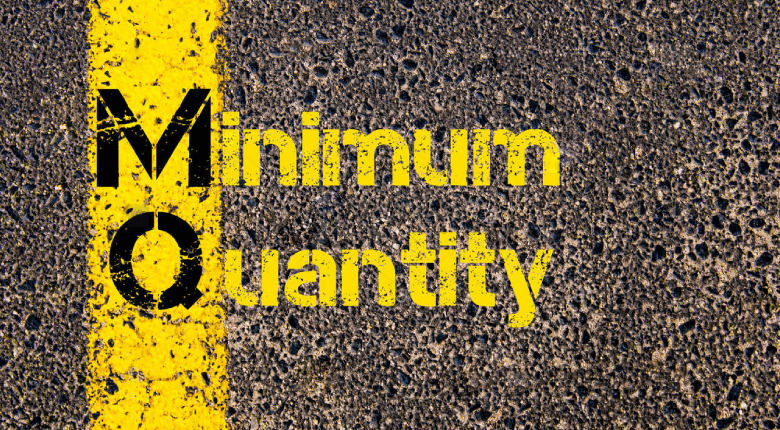 Admin can specify the minimum volume for a product that customers must meet before allowing the process to check out. Since customers cannot place the order that is less than that specified sum, they will be encouraged to buy more, which is the golden goal that every store owner targets. Please Like, Share, and Subscribe to our newsletter to receive upcoming blogs, or take a quick look at our extensions available for Magento 1 and Magento 2. Our professional support team of certified developers is always ready to give you the best service in both Website Development and extension related issues. FREE Installation – FREE Update – FREE 1-year Support – 30day Money Back!